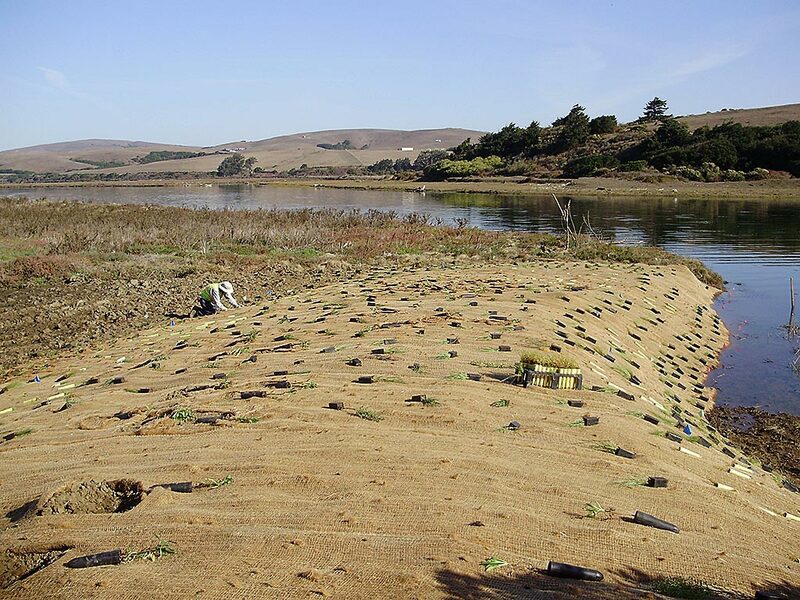 Since the early 1900s, levees constructed at the southern end of Tomales Bay for roads and dairy farms have prevent hydrologic connections between Lagunitas Creek and its tributaries from their historic floodplains. 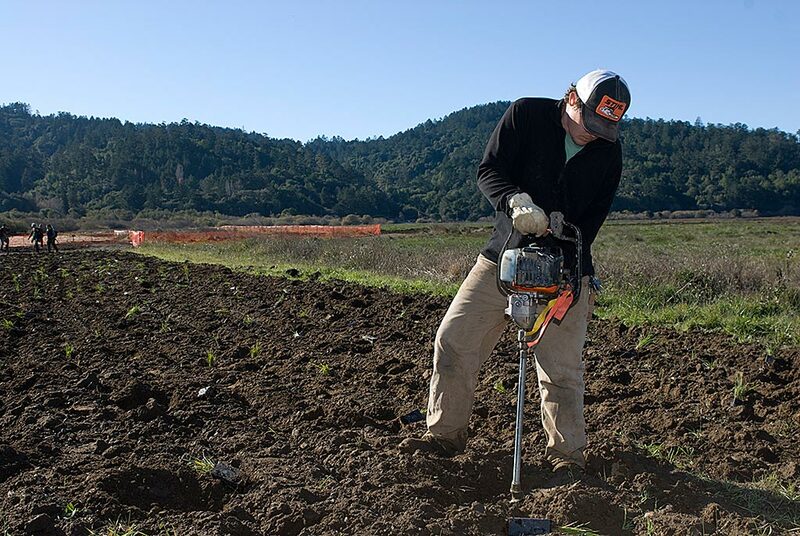 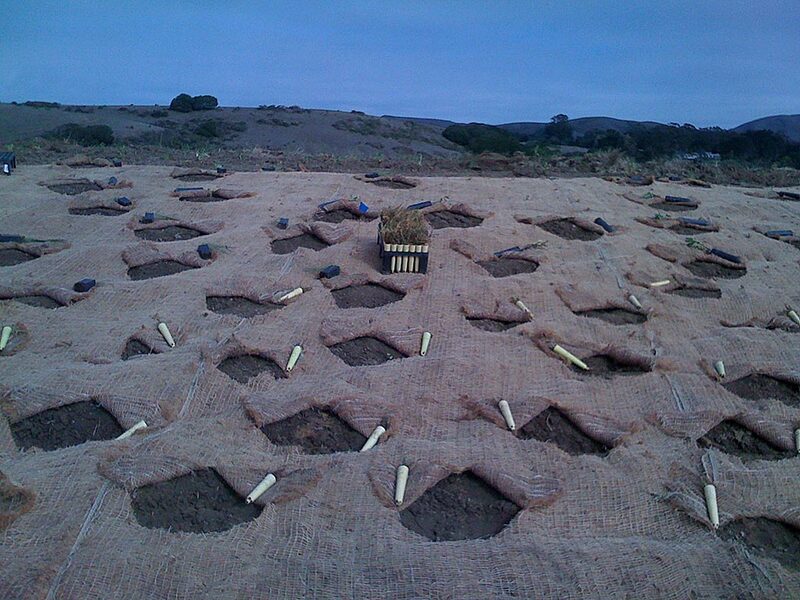 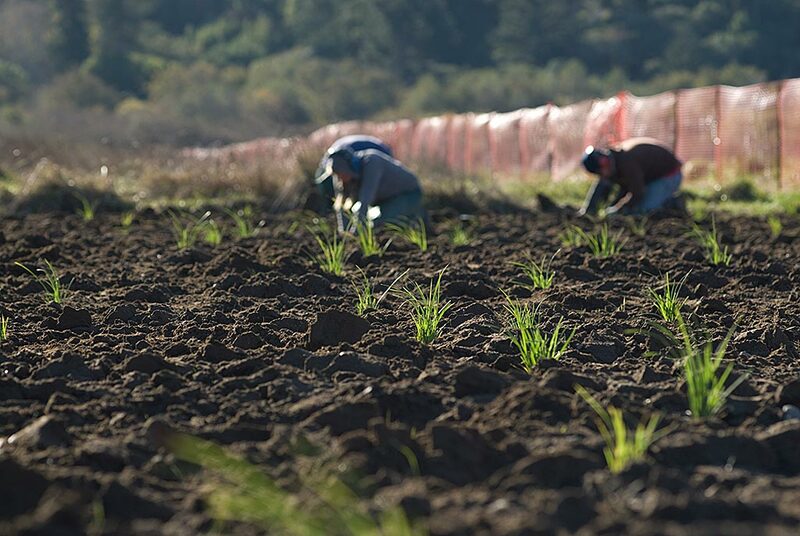 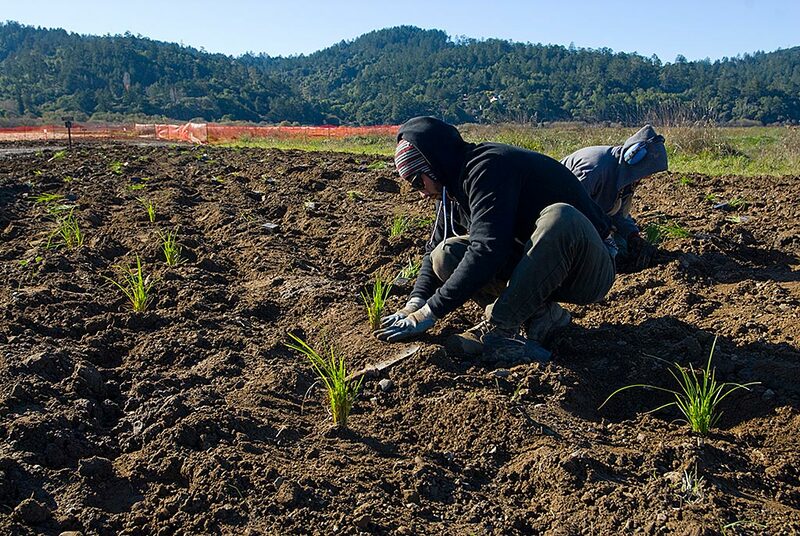 In 2007, the National Park Service began a major restoration project to restore the freshwater and tidal wetlands of Waldo Giacomini Ranch and Olema Marsh in the southern reaches of Tomales Bay. 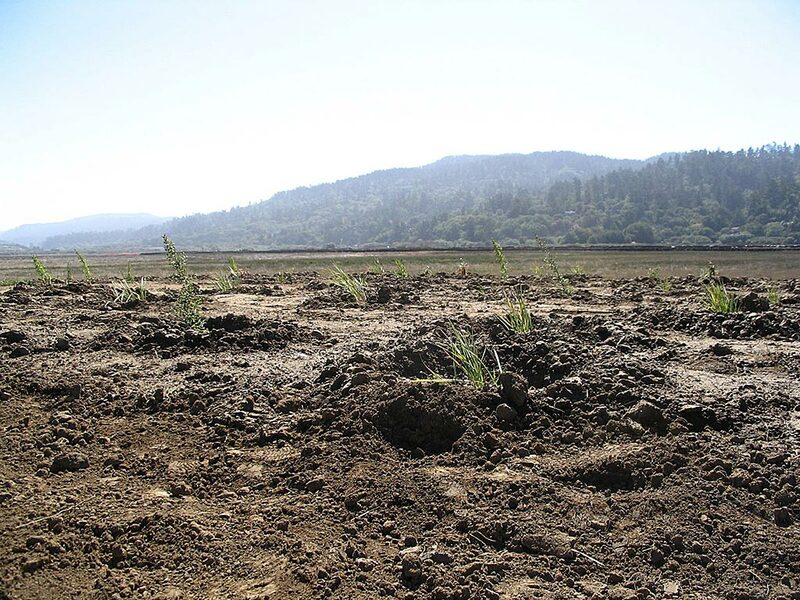 Though much of the site plan involved passive restoration (allowing natural recolonization of marsh plant species) after levees were breached and reconnected to the bay, many of the reconstructed levees and freshwater wetlands required additional revegetation efforts. 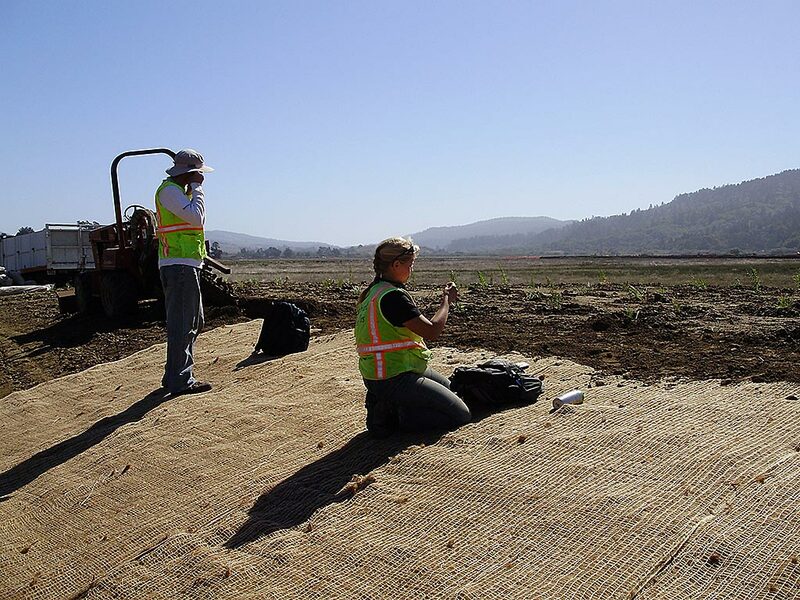 In 2008, Shelterbelt was hired to install over 16,400 tidal and freshwater wetland plants along levees and on the marsh plain. 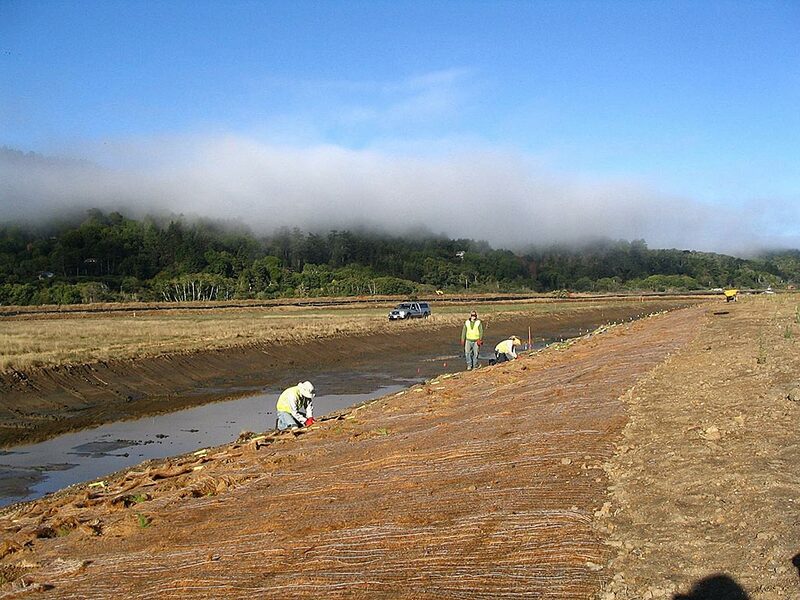 Extreme care was necessary to reduce impacts to sensitive native species within existing tidal marsh areas. 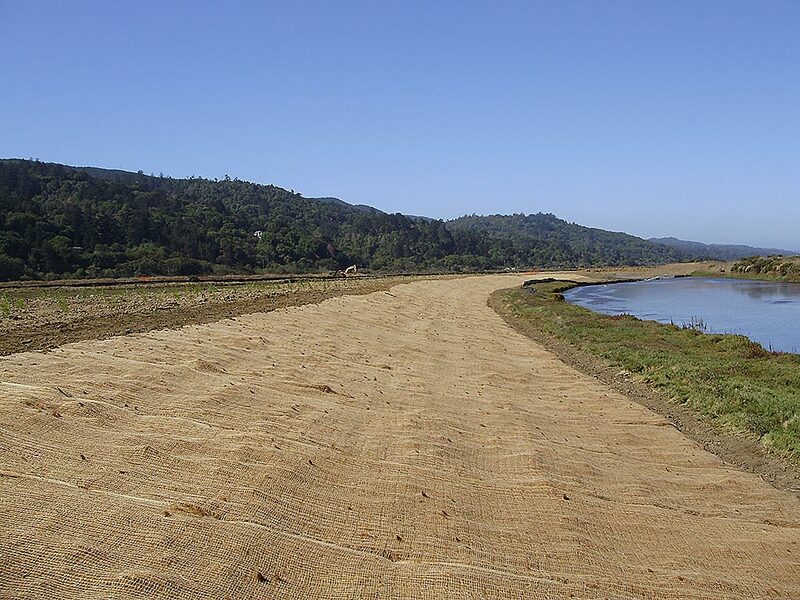 Shelterbelt used specialized rubber tracked equipment to reduce impacts to soils and vegetation while transporting plants and watering equipment throughout the tidal marsh habitats.